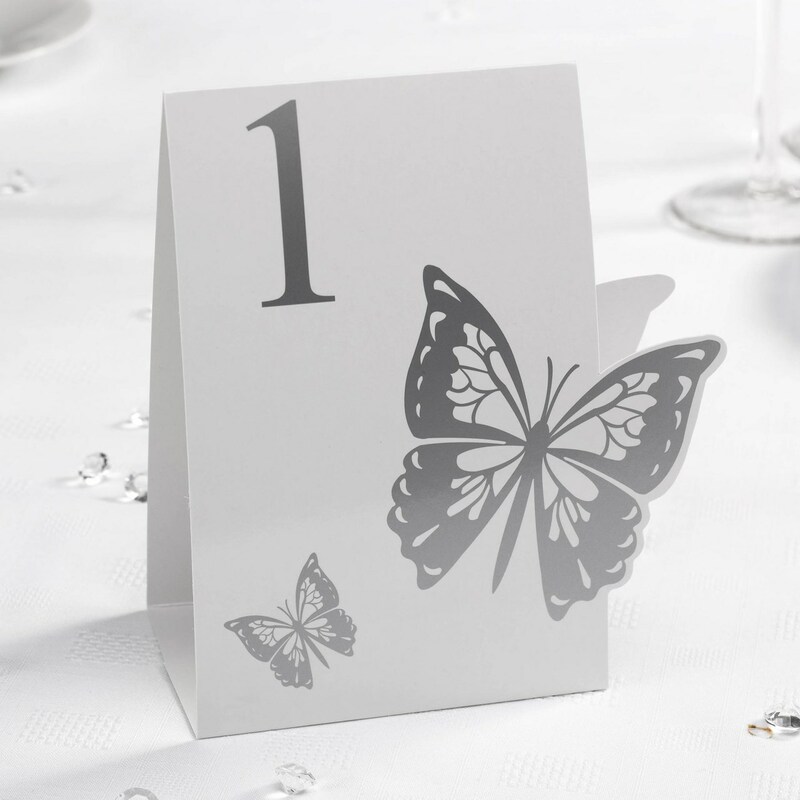 Stunning table number cards, part of the romantic Elegant Butterfly range. These high-quality cards feature an understated design against crisp, white card, perfect for adding a touch of simple elegance to your table settings. Featuring a beautiful butterfly illustration, each pack contains cards numbered 1 to 12, a simple way to help your guests find their tables.